I have to admit, I am kind of change averse. Call me old fashioned but I kinda like a routine. But one area where I like a bit of variety is my restaurants. 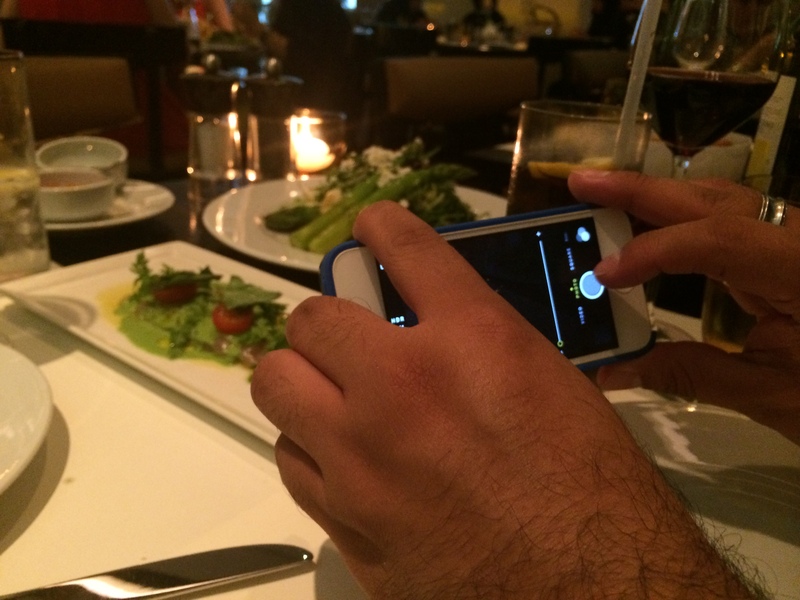 Two of my favorite places in Doha – Market by Jean Georges at W Doha and The Grill at Grand Hyatt Doha both saw new chefs take the helm in recent months. New chefs mean a new culinary viewpoint (far too much Food Network!) and new dishes to try. Both new chefs invited me to sample their dishes this month. And I have to say there is a lot to be excited about. and also, Burrata cheese, that globe of creamy goodness we can thank Italy for, is front and center of this new guard. First, The Grill. I have a soft spot for this place as I was one of the first customers there. I have seen it change chefs and concepts but the food has always bee exceptional. Canadian Chef Shaun has just finished a stint in Australia and has brought with him a Mod-Oz mentality – lots of seafood and clean flavors and letting the produce be the star. 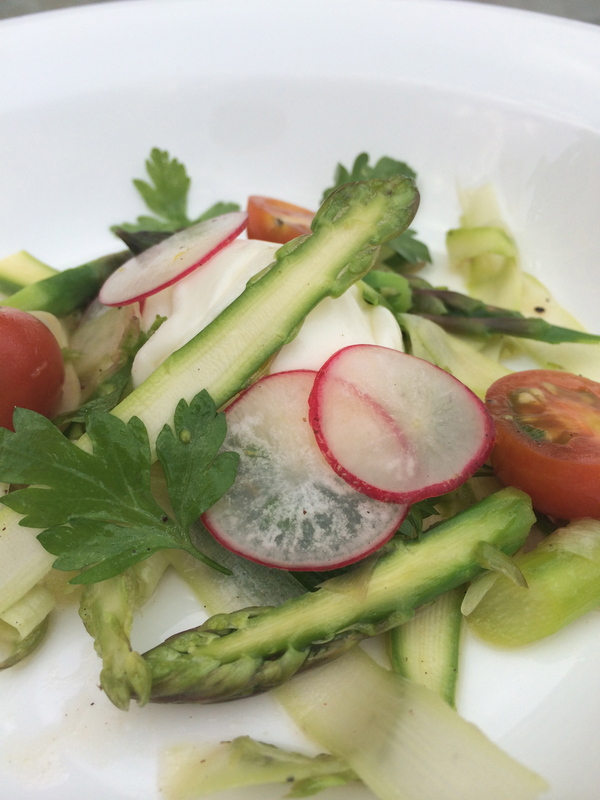 Standouts for me were the burrata salad of fresh summer vegetables (please, it’s cheese!) 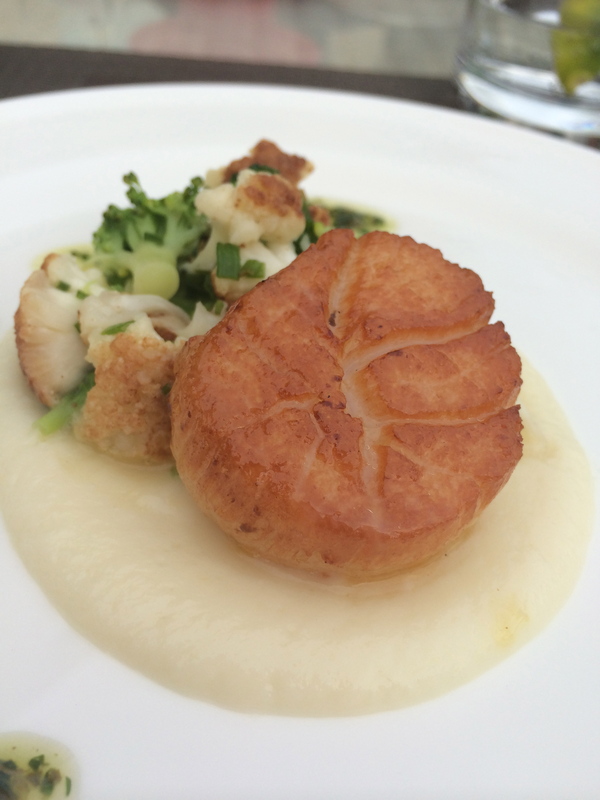 as well as a scallop dish and a fresh yet intense prawn dish. The new dishes are rounded out by hammour and a moorish duck dish. This was a very early sneak peek at this menu which will probably launch in coming weeks. 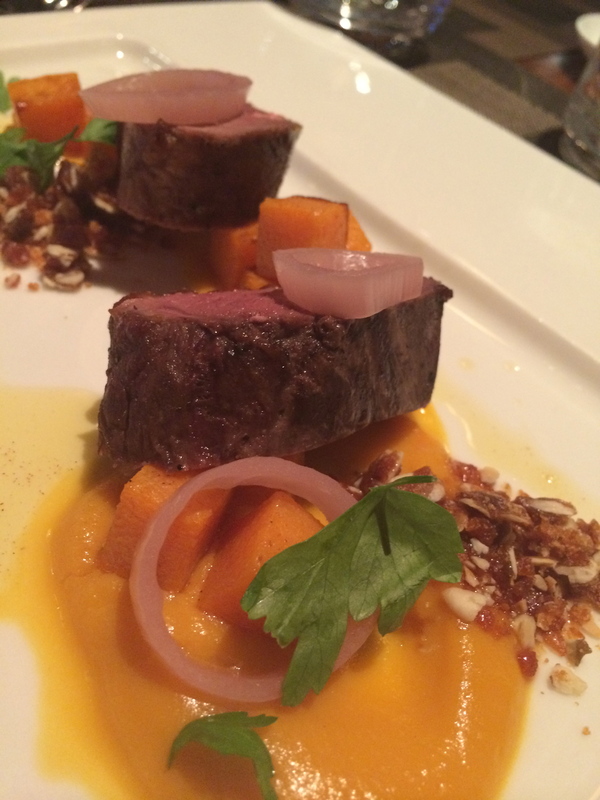 Although I have already said it, Chef Shaun’s food is clean, elegant and packs a punch. I can’t wait to see what else he has to offer. Meanwhile, over at the W, Chef Carlos from Puerto Rico (yes, I KNOW!) 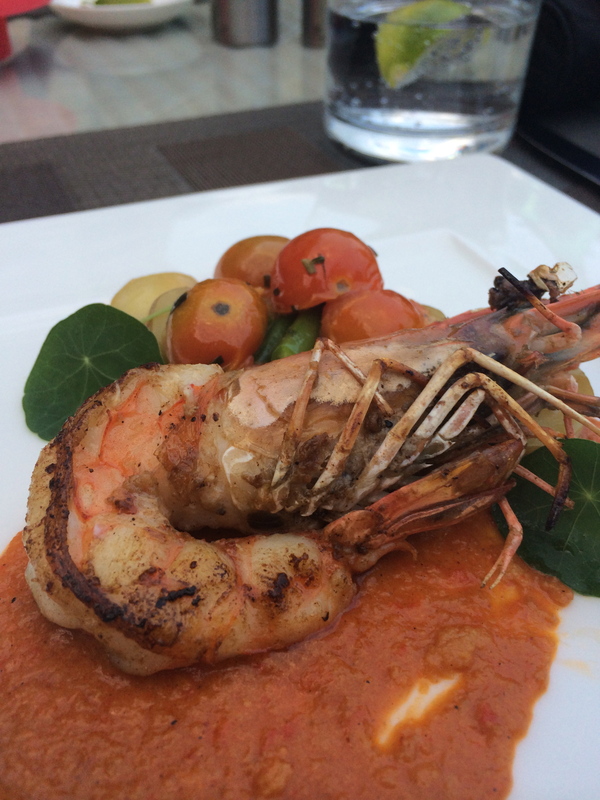 takes us on a culinary journey from South America to Asia with a touch of Arabia thrown in. The Market is for me and many others, a “neighborhood bistro” and while there are many favorites still on the menu, the newcomers are sure to set foodie hearts racing. Burrata? 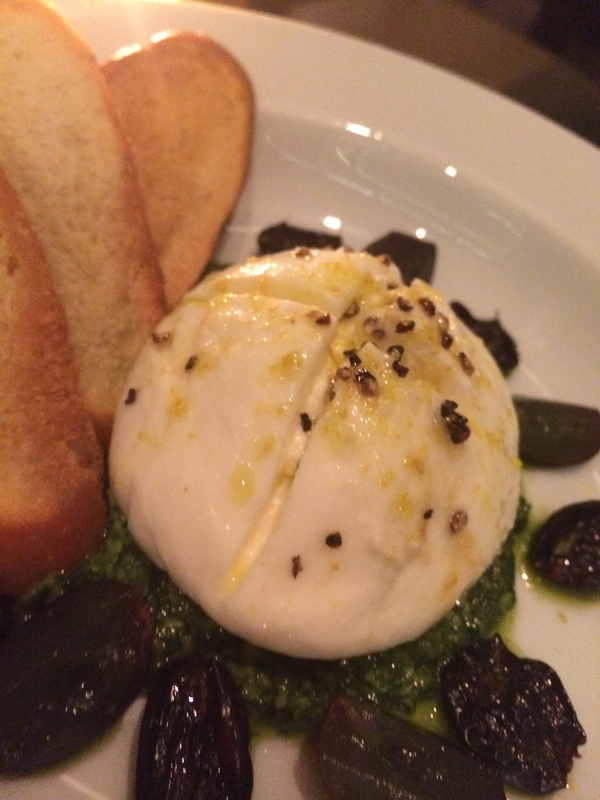 Yes, they have Burrata at the W too. 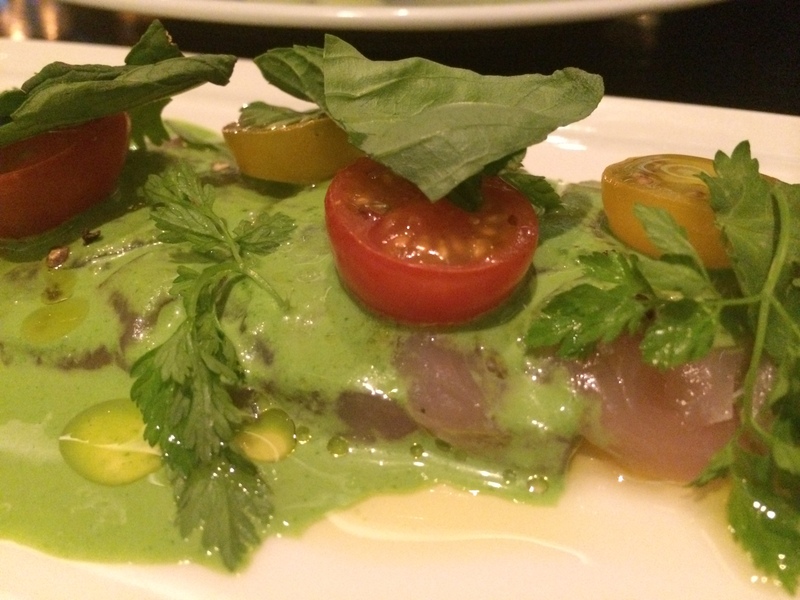 Chef Carlos uses marinated grapes in his Burrata dish, which plays on the sweet and savory. I could have just had four plates of this and left happy.But you know, I had a job to do. Meanwhile…Hamachi? Where have you been all my life? Rich and buttery and served here with a herb sauce with a touch of Arabic labneh cheese. Yeah. Cheese. Trust me, it works with the labneh giving it an edge. There are 16 new items on this “transitional menu” which will be tweaked again come July/August. 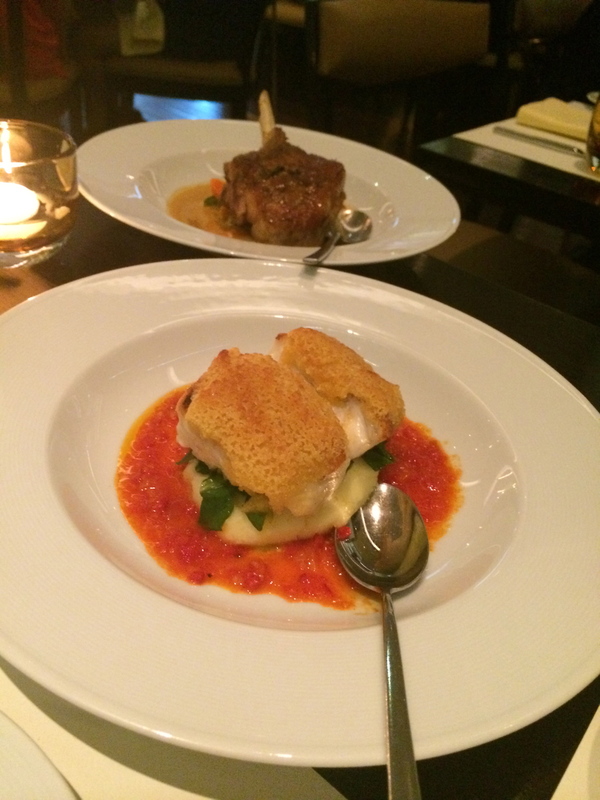 Other dishes include hammour and a veal chop worthy of the Flintstones that also reignited my love for red meat. 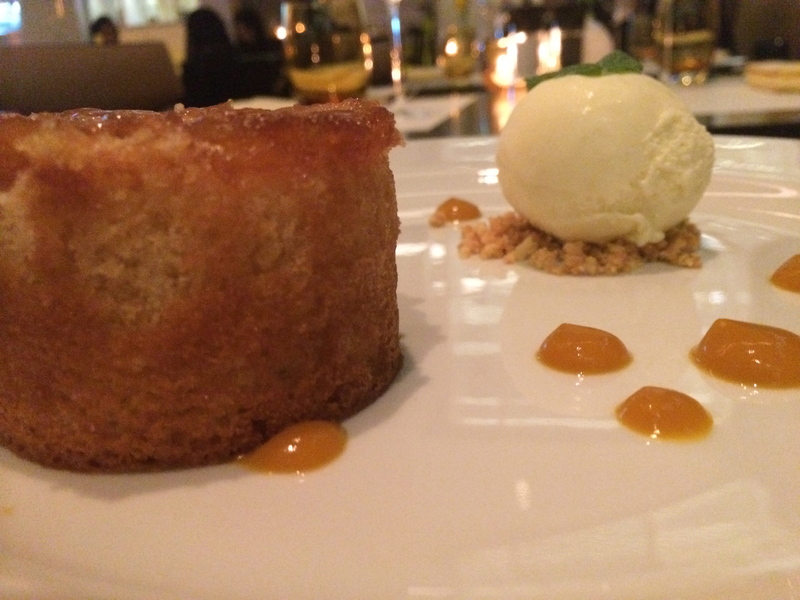 Readers of this blog know I am no fan of dessert. But this pineapple upside down cake? Let’s just say it ignited a knife fight between my dining companion and I. Sweet and a touch of sour. Based on both these new chefs and their menus, I’m coming around to change being a good thing.